Whitewater enthusiast? Nature-lover? The Gorges du Tarn, a UNESCO World Heritage site in the heart of the Grands Causses regional nature reserve, is the perfect place for you! Take home some truly unforgettable memories of your holiday here with the family. Travel the famous Gorges by canoe, 53km of enchantment with fabulous scenery at every turn. Hiking and mountain bike trails, via ferrata, climbing, caving, canyoning and many other outdoor sports also await in this unique natural area. Awesome! In the heart of the Lozère, sample the traditional local gastronomy of this very special area of France: Roquefort and Pélardon cheeses, local charcuterie and, of course, the regional speciality known as aligot. Florac, Mende, Sainte-Enimie… Discover the typical towns of the Lozère! If you love wide-open spaces, the Cévennes National Park is an ideal choice for your next campsite holiday! Fall under the charm of this exceptional area with its valleys, rivers and caves. Florac, capital of this famous protected area, is bound to impress. Outdoor activities, unspoilt nature and wild rivers, discover this charming little Lozère town. Keeping ever-closer to nature, take a trip to Mende. A remarkable historic centre, Gothic cathedral, adventure tree-climbing on the high plateau above… Let the camping Nature et Rivière set the scene for a fabulous family holiday. And why not visit one of the France’s most beautiful villages? Discover Sainte-Enimie, at the gateway to the Cévennes. Clinging to its rocky hillside, this mediaeval village offers an unbeatable view over the Gorges du Tarn. We have selected the following links to help you organise your holidays in the gorges of the Tarn, within a radius of 40km around the campsite. Where to eat in Lozère? 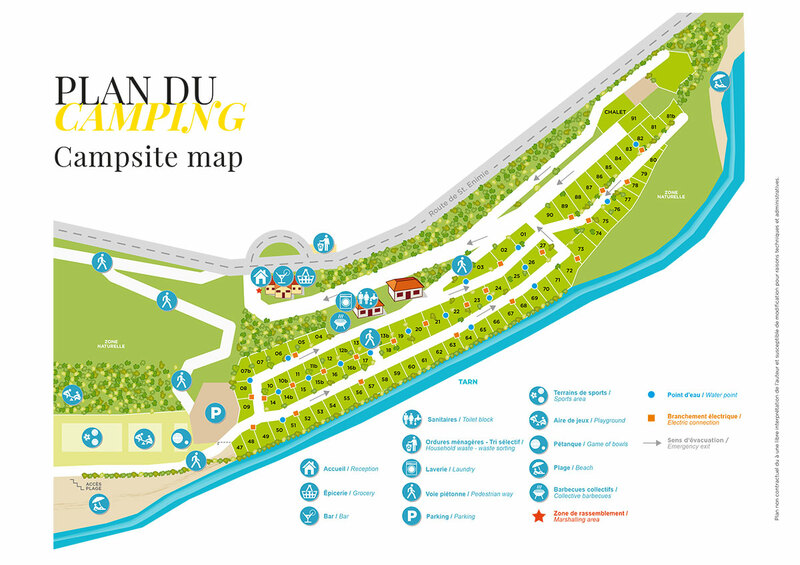 In reception at the camping Nature et Rivière, you'll find a comprehensive list of the region's restaurants and inns. Tourist office list and tourist guide for the Cévennes, Lozère and area around Millau.